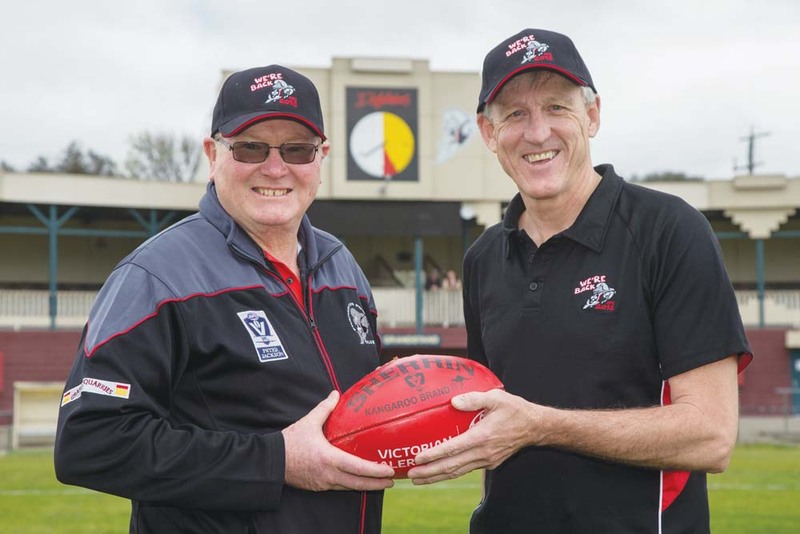 FORMER general manager of the Frankston Football Club Gary Buckenara said he is “bitterly disappointed” at the club’s decision to let him go on the eve of the 2019 VFL season. Buckenara was appointed general manager of the Dolphins in January 2017, and helped guide the club back into the VFL after they had their license revoked in 2016. On 25 March it was announced that they had parted ways. Buckenara told The Times he was “blindsided” by the decision. “It’s one of the biggest kicks in the guts I’ve ever had in footy. I thought I’d done a great job for them to help them get to a position where there was light at the end of the tunnel,” he said. “We were hosting more games, there were more dollars coming in. We were looking at plans to host AFLW games and JLT preseason games, we were also looking at getting into the VFLW space. There were some really good plans, there were more opportunities for the business to grow and with that I would have grown too. That’s why I’ve been so bitterly disappointed that they’ve made that decision and didn’t give me the opportunity to see through the plan. I had a vision of another five years there. I felt it was a rough decision not to let me see it through. Buckenara said he feels it might be time for him to move on from football after the Dolphins decided his time was up. The Dolphins are now in the process of appointing someone to the general manager role on an interim basis. Buckenara said he was told the club was looking for a more “analytical” approach to the role. “Gary played a role in getting us back into the VFL, as did many people. We had a lot of people contribute,” he said. The Dolphins’ season begins this Saturday at home against Essendon. Geddes said that the club is “comfortable” with the decision to part ways with Buckenara so close to the first game of the year. “I guess the timing is something you’re never really in control of, things were working out differently than we had hoped and we had to make a decision. The timing is matter of history, and we’re comfortable with the decision,” he said. “We have got a process in place going forward. We’re comfortable we’ve got the system to maintain stability and steps forward in this difficult time. We’ve currently got people who have just stepped up and taken those roles but by end of this week we’ll have someone to take on an interim role as manager of the club. The Dolphins’ season opener against Essendon will be played on 7 April at 2pm at Skybus Stadium.